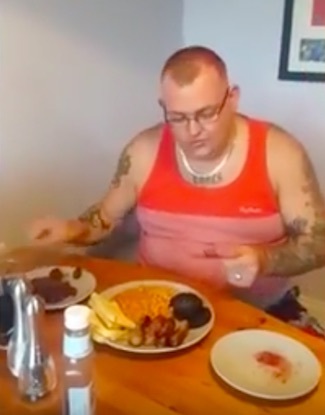 A guy has left a whole lot of people disgusted after filming himself eating his wife’s placenta with a lovely plate of beans on toast. 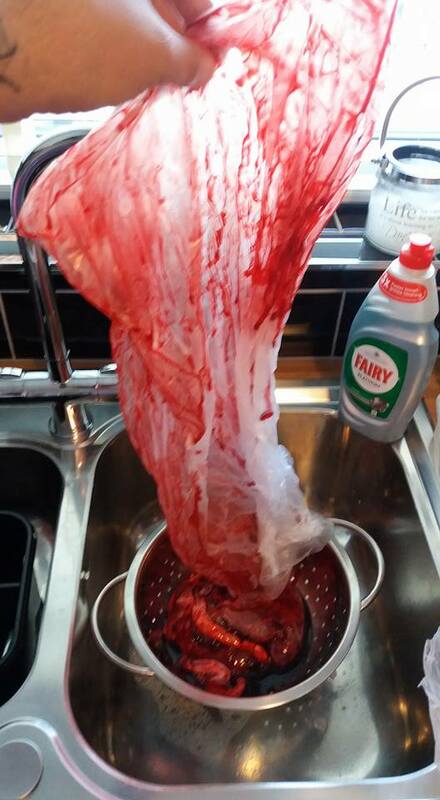 Ross Watson, from Darlington, posted the clip of him chowing down on his wife Heather’s placenta to YouTube after she gave birth to a baby boy, Lachlan, last week, reports the Daily Star. Seasoning it with pepper and brown sauce, insurance broker Ross explained that, as this would be their last child, it was ‘now or never’. Heather was disgusted but not surprised as it’s me. I have form for crazy things. I like the shock of some people when the reality is it’s not that bad. And I can say I have done something millions haven’t. In a genius move, Ross even shared the stomach-churning pictures with Facebook page the Fry Up Police. I ate my wife’s placenta and cooked it with black pudding, sausages, beans and toast. It was never intended as a full fry up, more a collection of my favourite parts plus placenta! Just in case you were wondering what the placenta tasted like, Ross said it was actually pretty underwhelming and that it ‘didn’t really taste of much’. Fair play to Ross, but I’ll probably just stick to bacon and sausage.